Last year, Asus had its best sale numbers rounding up with Zenforme Max Pro M1, Pro M2, Zenfone 5Z standing straight with market leaders like Xiaomi and Huawei Honor. Asus claims to have sold more than 2 million Zenfone units last year and Asus celebrates it by giving massive discounts along with Flipkart. The OMG sale is a four-day celebration sale exclusive on Flipkart. 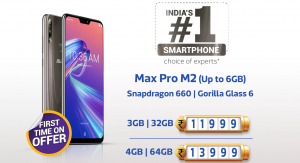 Asus offers flat 1,500 off on all Zenfone Max Pro M1. The Zenfone Max Pro M1 is the first Zenfone in 2018 to cross the best Zenfone sale numbers due to its competitive Specification and Price! The Zenfone Max pro M1 will be priced at Rs 8,999 for the 3GB/32GB variant and Rs 10,999 for the 4GB/64GB storage model. The Asus Zenfone Max Pro M2 is available at Rs 11,9994GB/64GB, for 3GB/32GB, variant and Rs 13,999 for 4GB/64GB variant and Rs 15,999 for its 6GB/64GB storage model. The Flagship Asus Zenfone 5Z will be having a flat Rs 8,000 discount on all model. 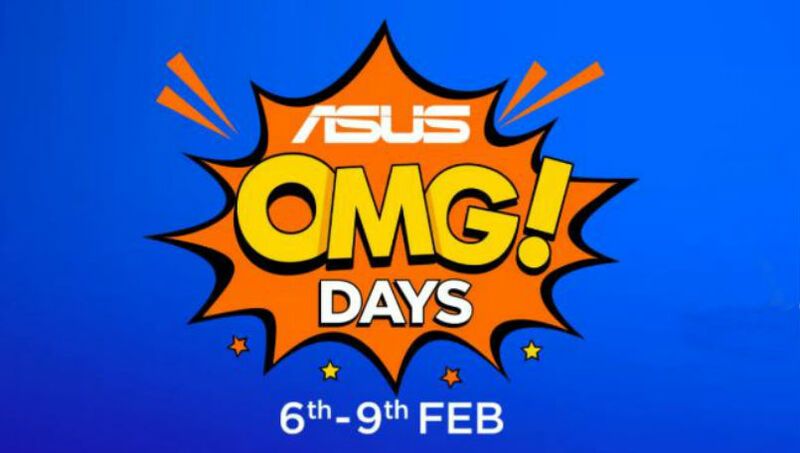 The lower budget Asus Zenfone Max M2 will get a flat Rs 1,000 discount during this OMG day sale.